Many people question me by asking "why do my dogs often stand this way in so many of my photos"? if you stand on a hillside, do you lean slightly do you or stand upright? we think we are standing upright, but in effect we are leaning toward the top of the hill. One of my pet hates is seeing a dog with its hind feet tucked underneath the body, this gives such an unblanced picture. 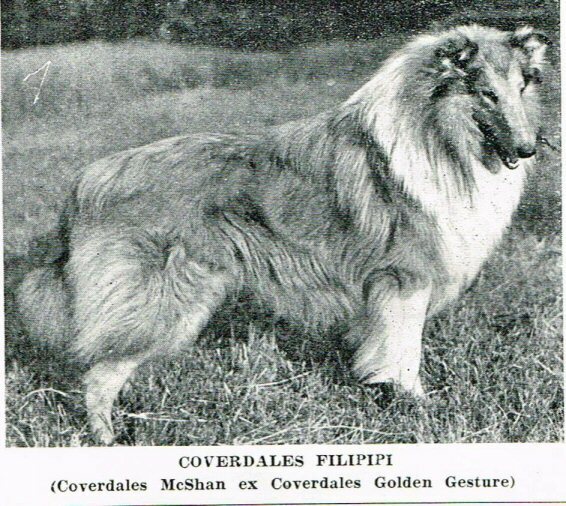 The Collie is a dog (or should be) of perfect anatomical balance. It stands to reason that when his noble head sits into the top of a long arched neck, and with a well angulated shoulder, the head will naturally sit in front of the point of the dogs forechest. To balance this, surely the hind feet should sit slightly behind the set of the tail. I love nothing more than a Collie boasting that long arched neck, because without it the dog cannot have that true classic look of DIGNITY. 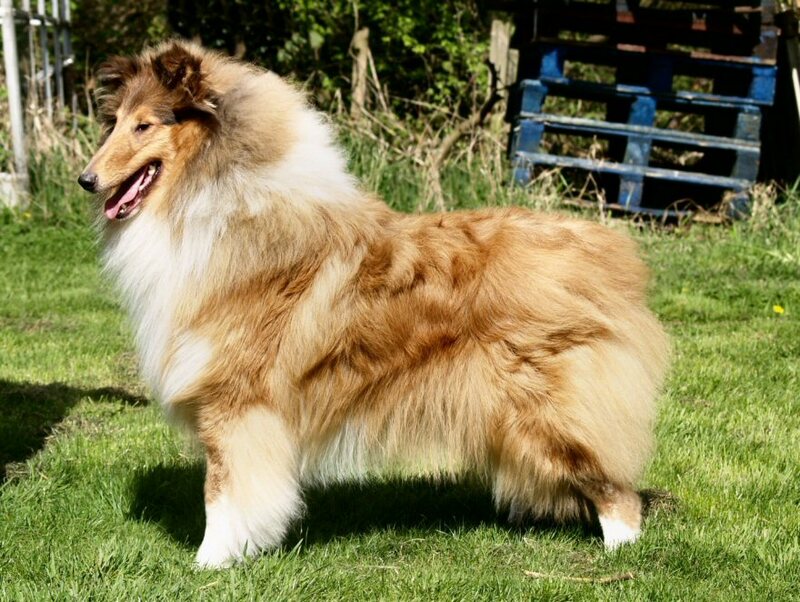 I want to see dignity in my collies and i want to see it in spades, I also want to see those hind feet standing just behind the set-on of the tail when standing on level ground, and when standing against a hill side, i want to see those hind legs stretch well out behind the dog for balance! 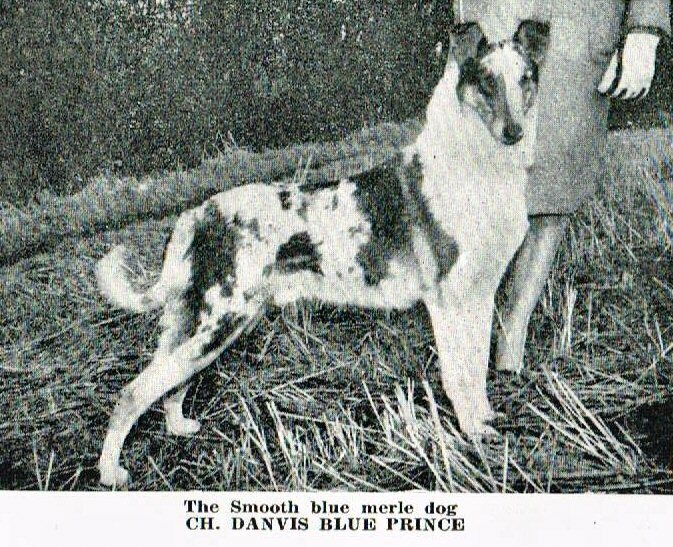 Looking back recently through some old adverts I found a few Collies demonstrating this type of hind angulation, all from years gone by. I thought I would share some with you. I love to feast on such photos, these dogs look athletic, they look as if they could work all day on a hillside. Look at the beautiful shapley turn of hock these dogs illustrate, suggesting strength and activity. Beautiful! 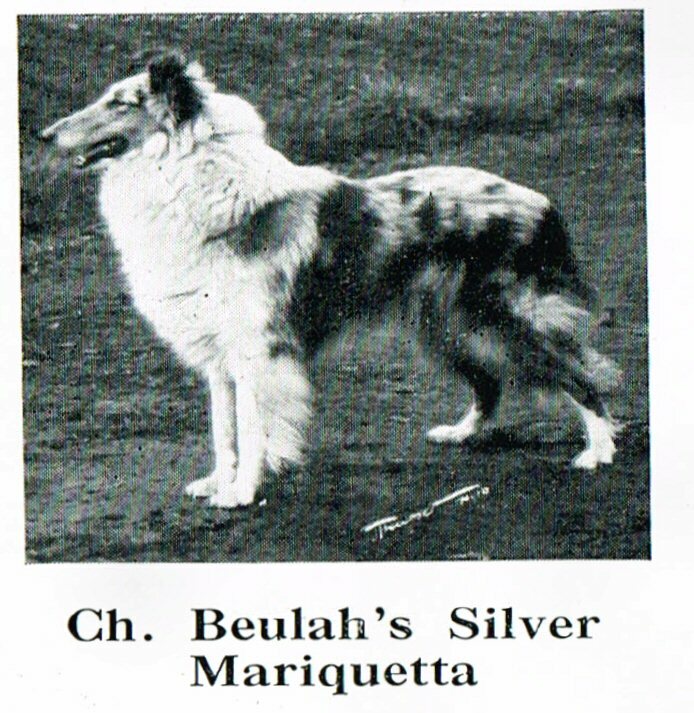 An example of a Smooth Collie standing on a hill side, with his hind feet stretched out to balance him. To me, the above Collies represent harmony, balance and dignity. So now you know why my dogs stand in such a way, if they didn't they would either be uncomfortable, or badly constructed! I also share with you the view across the Cattle bank that we and our Dogs enjoy on a daily basis. It gives the reader some idea of the lay of the land, as we live on the opposite bank to the one you see here! Some truly stunning photos on this site. It is so refreshing to see the regal stance of the collie!